The study was conducted in order to assess and evaluate factors that affect the quality of teaching and learning in public schools operating in Tshwane, South Africa. The study was conducted by drawing a stratified random sample of size 147 from educators working in Tshwane North District public schools. Data was collected by using a structured, pretested and validated questionnaire of study. Data analyses were conducted by using methods such as frequency tables, cross-tab analyses and binary logistic regression analysis. Based on the criteria set out by Skarlicky, Kay, Aquino and Fushtey for effective teaching, 81.63% of educators working in Tshwane North District public schools were performing adequately, whereas the remaining 18.37% of educators were not performing adequately . Based on odds ratios estimated from logit analysis, efficiency in school level leadership in Tshwane North Districts was significantly influenced by a clear understanding of job description, the availability of helpful teaching materials and resources, and punctuality at work, in a decreasing order of strength. The objective of study was to assess and evaluate factors that affect the quality of teaching and learning provided to public school learners in Tshwane North District, Gauteng Province, South Africa. The annual report issued by the South African National Department of Basic Education (2018) for the financial year 2016/2017 shows that the quality of teaching in the fields of mathematics and science is below standard. The report shows that some of the key underlying causes of underperformance by educators are shortage of adequately skilled educators, lack of discipline at work, poor motivation at the workplace, lack of devotion to the basic needs of learners, lack of job satisfaction, and lack of work-related incentives for top-performers such as tailor-made training opportunities. The study conducted by Yang, Klotz, He and Reynolds shows that employees underperform in the absence of motivation and good leadership . Yang has argued that work ethics and discipline depend upon the quality of leadership at the workplace. Public schools that operate in resource-constrained working environments often employ educators who lack specialised skills and motivation . Zang, Wu, Yan and Peng have pointed out that failure to assess, evaluate and monitor the quality of performance by educators working in public schools is a key obstacle to the ability of public schools to provide affordable quality education to pupils in Sub-Saharan African countries including South Africa . Yazik and Altun have listed down key indicators of underperformance in public schools that suffer from poor leadership and resource constraints . Based on a study conducted in Kuala Lumpur, Malaysia, Al Fahad (2013) has shown that leadership style and motivation at work are significantly associated with each other. Abbas, Raja, Darr and Bouckenoogh have reported that political appointments, undue influence from trade unions and failure to adhere to discipline-related academic requirements often lead to poor education and the abuse of school resources . Arz and Farahbod and Batista-Taran have found that poor leadership at school level leads to poor academic quality. The authors have pointed out various negative consequences of poor academic quality in the teaching of mathematics and science to secondary school pupils [7, 8]. Turabik and Baskan have highlighted the numerous socioeconomic consequences of lack of motivation by educators. Sturman and Park have pointed out that the ability of educators to respect their working conditions and operational requirement is a critical factor for success [9, 10]. Srivastava and Banerjee have reported that the ability of pupils to master science and mathematics at primary and secondary school levels is the basis for adequate vocational and artisan skills in any society. Van der Westhuizen, Phacheco and Webber have listed down predictors of underperformance among public school educators and principals . The authors have shown that the quality of education deteriorates in schools where there is lack of leadership by good example. Based on a study conducted in Turkey, Top, Adkere and Tarkan have shown that the degree of commitment made by educators to learners is a key determinant of productivity and performance at the workplace . The study was conducted against the background of lack of studies that could show key predictors of motivation among educators working in Tshwane North District schools. Wang, Hall and Rahimi have listed down common causes of burnout and lack of job satisfaction among public school teachers working in developing nations . Trepanier, Forest, Fernet and Austin have proposed remedial actions for alleviating job dissatisfaction, low employee morale, lack of commitment to needy learners, low pass rates among learners, loss of productivity and lack of interest among public school teachers who work under stressful and resource-constrained working conditions . Swanepoel, Erasmus, Schenk and Tshilongamulenzhe, Webste  have pointed out the need for intervention by the South African Government in underperforming public schools. According to the authors, the stakes are quite high considering high failure rates in mathematics and science subjects and the lack of interest among senior secondary school pupils in mastering vocational and artisan skills. The study was motivated by the fact that there were few studies in which the quality of teaching was assessed and evaluated in Tshwane North District public schools. This is one of very few studies in which the quality of teaching was assessed by collecting data from educators working in Tshwane North District public schools. The aim of study was to test the relevance and veracity of the theory proposed by Wei, Han and Hsu in which the authors have suggested that the utilization of a cross-level performance monitoring and evaluation model is helpful for ensuring job satisfaction, productivity and sound leadership in public schools . The study has the potential for identifying and quantifying key factors that undermine the quality of school level performance in public schools in Tshwane North District. There is a shortage of studies that could be used for addressing poor service delivery and accountability in school level teaching and learning in Tshwane North District. The study aims to fill the gap by collecting fresh data from Tshwane North District public schools. There is a shortage of adequately skilled and qualified educators in Tshwane North District (South African National Department of Basic Education, 2018). Morale among educators is quite low. Pass rates in key disciplines such as mathematics and science are also low. These shortcomings are evident in key disciplines such as mathematics and science. Not enough is being done for alleviating the acute shortage of suitably qualified and adequately motivated teachers, mentors and educators. There is a dire need for highly skilled and motivated teachers and educators for schools in Tshwane North District. Public schools operating in the District are characterised by lack of resources, inability to attract or retain talented and top-performing teachers, high failure rate in mathematics and science subjects, and lack of support from the Gauteng Provincial Department of Basic Education. The teaching and mastery of vocational and artisan skills such as woodwork, metalwork, electricity, auto mechanics, industrial engineering, home economics, agriculture, carpentry, and painting is poorly motivated and supported. The teaching and mastery of the key disciplines of mathematics, science and English is poorly prioritised and supported. There are very few partnerships and linkages between public schools in Tshwane North District and industry, business and government. Not enough research has been conducted in this area of research. The study aims to fill the gap by conducting an empirical study in Tshwane North District. The study has the potential for identifying and quantifying key factors that undermine the quality of school level performance in public schools in Tshwane North District. There is a shortage of studies that could be used for addressing poor service delivery and accountability in school level teaching and learning in Tshwane North District. The study aims to fill the gap by collecting fresh data from Tshwane North District public schools. The provision of incentives to top-performing school level educators is a key tool that could improve the quality of school level education in Tshwane North District schools. Incentives such as specialised training could motivate educators to work hard and be punctual at the workplace. Wang, Hall and Rahimi have found that there is a significant association between leadership style and the quality of education offered at school level. The authors have pointed out that a good leadership style motivates educators to work hard, whereas a poor leadership style discourages and demotivates educators at the workplace. According to the authors, key aspects of good leadership are objectivity, fairness, accountability, transparency, and respect for regulations and guidelines that are applicable to educators, administrators, learners and the relevant stakeholders. Leadership has various forms. McCarley, Peters and Decman have shown the potential benefits of transformational leadership in public schools operating under resource-constrained working environments . Northouse has proposed practical steps that should be taken in order to ensure the quality of teaching in public schools that are required to operate in resource-scarce working environments. The author has recommended the use of a comprehensive monitoring and evaluation programme among educators and learners as a means of ensuring satisfactory performance . Skarlicky, Kay, Aquino and Fushtey (2017: 222-238) have shown that authoritarian leadership often results in loss of productivity and job satisfaction. The productivity of educators is significantly dependent upon the degree to which educators are led by example by their line function managers. Showing respect for the law and being persuaded by the best interest of learners are key elements of good leadership . Educators are required to report for duty punctually, prepare up-to-date lesson plans, read and utilise updated teaching materials in class, mark assignments and tests promptly, provide feedback to learners, and attend workshops that are necessary for career path growth and professional development. They should also respect the basic rights of learners and abide by ethical and professional principles. Hallinger has pointed out key indicators of good leadership in public schools. Examples of such indicators are punctuality, devotion to learners, willingness to lead by example, the ability to mobilise parents and members of the community in order to improve pass rates among learners, and respect for the basic principles of good leadership. Based on a comprehensive survey, Venter, Levy, Bendeman and Dworzanwski have provided examples of common causes of poor academic performance at school level. One of the key causes of underperformance is poor leadership style. Quality leadership is a key requirement for sustained academic performance and productivity at school level. Sound leadership at the level of schools is crucially needed for ensuring adequate performance by educators working in Tshwane North District schools. Good leadership at school level requires the ability to lead pupils by good example Sullivan, Lonsdale & Taylor, commitment to learners Tatlah, Saeed & Iqbac, the ability to enforce school level guidelines and regulations in the best interest of learners Trepanier, Forest Fernet & Austin, and the ability to adhere to good governance principles Skarlicky, Kay, Aquino & Fushtey . Venter, Levy, Bendeman and Dworzanwski-Venter have shown that good leaders balance labour rights fairly and objectively with the rights of learners and schools in order to ensure adequate performance at school level . Wang, Hall and Rahimi 2015 have pointed out that the rights of pupils must be given priority by all stakeholders in order to ensure the mastery of critical skills. The mastery of skills in mathematics and science is a key performance indicator to South African pupils at primary and secondary schools. Shared success at school level is a result of highly efficient leadership, the total commitment at work by educators, and the ability to follow local and international best practice on the principles of learning and teaching . Yang has argued that respect for the rule of law is helpful for achieving successful outcomes . Welter, Mitchel and Muysken have found that the mastery of critical skills at the right age and school level is a key requirement for a productive youth population . The authors have argued that enforcing work discipline and total commitment to quality service delivery are essential for societies to be productive. Schools in Tshwane North District have a duty to the youth in terms of enabling the youth to acquire and master quality school level education in all academic disciplines. Educators working in Tshwane North District schools have a duty to perform adequately for the sake of the youth. In order for educators to perform adequately, it is vital to institute and enforce a comprehensive performance monitoring and evaluation system that could be used for ensuring the fulfilment of service level agreements, key performance indicators, and key performance areas at school level. The study conducted by Zhang, Wu, Yan and Peng 2014 provides a list of highly successful leadership styles that could be used for ensuring satisfactory performance at the level of schools. Effective leadership is informed by previously known successful results. Effective leadership is informed by the best interest of the youth, and is open to constructive criticisms. It welcomes helpful suggestions that are helpful for improving the quality of school level education. Effective leadership ensures the effective utilisation of resources that are needed for teaching and learning. By contrast, autocratic leadership is counterproductive to schools. A participatory approach and willingness to delegate authority are both helpful for promoting productivity at school level Zhang, 2017. Webster has shown the merits of transformational leadership . Yadav and Yadav 2016 have outlined the key aspects of organisational justice, fairness, objectivity and the merits of transactional leadership. In transactional leadership, an exchange takes place in which the leader focusses on clear performance directives and organisational goals. The leader rewards or punishes the subordinate based on key performance outputs that are agreed upon. Situational leadership takes prevailing circumstances into account in order to take an appropriate decision in the course of performing routine activities (Zhang, 2017). Tshwane North School Principals need to learn and understand the advantages and disadvantages of the various leadership styles, and choose a leadership style that is appropriate for their district schools. Webster (2015) has outlined key motivation theories including theories by Alderfer, Maslow, McClelland, Herzberg and Aristotle. A good Leader must have the necessary skills, dedication, and good character, to mould the school community, but most importantly have the ability to manage the talent of its staff. Schools spend money on the development of its employees and want to benefit from their improved skills. It will be cost-effective for schools to retain their employees and benefit from their improved skills. There is a great need to recruit and retain good teachers because the ability of public schools to attract and retain talented teachers is a key predictor of productivity and sustained growth in the education sector . School leaders must interact with their subordinates and fellow colleagues alike in a professional and ethical manner. They need to be consistent, friendly, open, transparent and truthful about key issues that affect the quality of teaching and learning. They must be humble and easily approachable to all during working times. They must be loyal to their learners and their parents in terms of ensuring proper teaching and learning. They must be prepared to lead by example. Good school level leaders often mobilise enough resources that are required to do well on the line of duty. Although doing so often comes at a huge personal sacrifice, good leaders are quite happy to pay such a price for the pleasure of achieving tangible success and high pass rates. The ability to administer and lead public schools has a significant influence upon the future of South African youth. The case of South African public schools is unique in light of the legacies of apartheid and the apparent failure of the South African Government to close the gap between private and public schools with regards to the teaching and mastery of key disciplines such as mathematics, science, and vocational, technical, industrial and artisan subjects. In comparison with private schools, South African public schools are relatively poorly resourced and administered. The failure of public school graduates to master and internalise practical skills makes it impossible for them to be employed in industry and business. Zhang 2017 has shown that poor quality of education in public schools is a key obstacle to sustained growth and development in developing economies. Yang 2013 has shown the benefits of adhering to rules and guidelines in public schools. The author has shown that good leaders often encourage educators to respect the rights of learners and their parents. At present, public school educators working in Tshwane North District feel demoralised due to lack of support from the relevant stakeholders. Public schools in Tshwane North District have failed to retain good teachers. Incentives must be provided to educators working in Tshwane North District public schools as a means of retaining good and talented educators . The study conducted by Welter, Mitchell and Muysken 2014 shows that the provision of incentives to top-performing educators is quite helpful for staff retention. Examples of good incentives are workplace skills based training opportunities. Yadav and Yadav 2016 have shown that the provision of specialised training opportunities to top-performing teachers is helpful for encouraging productive employees in service delivery institutions. Public schools often lose their talented teachers to well-resourced private schools. This is mostly because public schools lack the financial resources for competing with private schools. Effective school leadership is an important solution to teacher retention, which has been proven by its consistent appearance, as the most important subject in working conditions in a survey conducted by Yazik and Altun 2013. The authors have shown that educators must be able to experience job satisfaction in order to show loyalty to their learners. It follows that the working environment must be economically enabling and productive Zang, Wu, Yan & Peng, 2014. Educators must be provided with clear job descriptions so that they can focus on their key performance indicators. One of the biggest difficulties experienced by public schools operating in Tshwane North District is inability to attract and retain talented teachers. Incidents of abuses among educators and learners, the destruction and abuse of library books, laboratory equipment, chairs, desks, classrooms and computers, and lack of respect for principals and school administrators have been reported in the media. Talented teachers have left public schools in Tshwane North District in large numbers for better resourced and well managed schools. Schools are used to convey values to people. Leadership simply means the process of guiding and directing others to shared success . Wenner and Campbell 2017 define leadership as the act of influencing people using intrinsic and extrinsic motivation to work towards the achievement of organisational goals with zeal and confidence . Leadership is an interpersonal influence exercised in situations and directed through communication, towards the attainment of a specific goal. Dou, Devos and Valcke 2017 define leadership as an influence, the art of influencing people so that they will strive willingly and enthusiastically towards the achievement of group goals. Having an effective school can be seen as the lifeblood of every principal and highlights the type of leadership style used by the principal to bring about an effective school . An effective school results in high academic achievement and teacher satisfaction. The Principal as the leader of a learning institution plays a pivotal role in making his or her school effective and functional. The principal is the centre of attraction to the school community. Principals in their roles as head of the institution must lead by example Hallinger, 2018. The annual report issued by the South African National Department of Basic Education 2018 for the financial year 2016/2017 highlights the key obstacles to satisfactory performance and pass rates in South African public schools. Examples of such obstacles are low morale of educators, lack of good school level leadership, shortage of resources and teaching materials, and the absence of an enabling working environment. The report acknowledges the basic needs of under-resourced and poorly equipped public schools, especially in rural areas. Based on a study conducted in Vietnam, Rruong, Hallinger and Sanga 2017 have shown that failure to adhere to recommended rules and guidelines in public schools often leads to anarchy, poor pass rates and the loss of employee morale. A lot of money and time has been spent on the new hire with a view that he will be an investment which will bring returns in future. When the employee leaves the organizational investment is not realised. In Tshwane North District public schools, customer services are often poor and less than professional. The degree of work ethics shown to learners by their educators is often less than professional. Public schools have failed to retain good educators. Educators have been characterised by loss of morale, lack of punctuality and failure to upgrade their levels of knowledge and education. Lack of professionalism and inability to care for educators often leads to the loss of productive educators. Vangrieken, Meredith, Packer and Kyndt have argued that productive educators working in public schools must be provided with opportunities to upgrade their level of knowledge on a regular basis, and that their employers should support such educators by creating an enabling working environment in which they are duly respected and valued . According to Leu, Kinzer, Coiro, Castek and Henry, the task of retaining productive educators working in under-resourced public schools is a key challenge in most developing nations such as South Africa . The retention of productive educators is a key priority of the South African National Department of Basic Education 2018. The study conducted by Al Fahad in Malaysia shows that investing in the career paths of productive educators working in public schools is a proven strategy of retaining highly productive educators working in public schools . Private schools often compete with public schools with regards to talented and hardworking educators. Private schools that operate in the various parts of Gauteng Province are known for poaching talented educators from public schools by offering them better salaries and improved working conditions. The design of study was cross-sectional and descriptive . Data was collected from 147 educators working in Tshwane North District public schools by conducting a census of all eligible educators working in Tshwane North District public schools . The study used quantitative methods of data collection and analyses. The questionnaire of study was adopted from a questionnaire developed by Skarlicky, Kay, Aquino and Fushtey 2017 for conducting a similar study. The perception held by educators on the quality of leadership was measured by using a composite index developed by Skarlicky, Kay, Aquino and Fushtey 2017 for assessing and evaluating the quality of school level education. Face validity was ensured by conducting a pilot study at the site of study before the actual study was conducted. Reliability was ensured by conducting the Cronbach Alpha test . All Cronbach Alpha coefficients were larger than 0.75 in magnitude, thereby showing that tools used for measurement were suitable for the study. Frequency tables, crosstab analyses Hair, Black, Babin and Anderson, and logit analysis Hosmer and Lemeshow, were used for performing data analyses [37-41]. Y: The quality of leadership by the standards of Skarlicky, Kay, Aquino and Fushtey (2017) for effective school level teaching. The dependent variable of study (Y) is a measure of the quality of leadership at the level of public schools based on standards that have been defined for the quality of leadership by Skarlicky, Kay, Aquino and Fushtey for effective school level teaching. The dependent variable of study is denoted by Y, and is defined as a binary variable of study (1 if inadequate, Adequate, Inadequate). Since the dependent variable Y has only 2 possible values (1 or 0), binary logistic regression analysis Hosmer and Lemeshow, was used for performing data analyses. The quality of leadership was measured by using a composite index defined by Skarlicky, Kay, Aquino and Fushtey 2017 for effective school level teaching. For each one of the 147 respondents who took part in the study, the possible values of Y were measured by using the following 5-point ordinal or Likert scale. The dependent variable of study (Y) is a measure of the quality of leadership at the level of public schools based on standards that have been defined for the quality of leadership by Skarlicky, Kay, Aquino and Fushtey (2017) for effective school level teaching. The dependent variable of study is denoted by Y, and is defined as a binary variable of study (1 if inadequate, Adequate, Inadequate). Since the dependent variable Y has only 2 possible values (1 or 0), binary logistic regression analysis Hosmer and Lemeshow, 2013 was used for performing data analyses. Odds ratios estimated from logit analysis are theoretically more reliable than P-values estimated from two-by-two crosstab analyses. In the study, logit analysis was used for estimating odds ratios. Odds ratios are theoretically more reliable than p-values obtained from cross-tab analyses Hosmer & Lemeshow, 2013. Preliminary data analysis was done by using cross-tab analyses. The results obtained from cross-tab analyses are theoretically less reliable than results obtained from logit analysis multivariate analysis. In logit analysis Hosmer and Lemeshow, 2013, significant predictors of efficiency are characterised by odds ratios that are different from the number 1, P-values that are less than 0.05, and 95% confidence intervals of odds ratios that do not contain the number 1. Table 1 shows frequency counts and percentages for the general socioeconomic characteristics of the 147 educators who took part in the study. The table shows that about 82% of respondents believe that the quality of leadership in Tshwane North District public schools is good enough by the standards of Skarlicky, Kay, Aquino and Fushtey (2017) for effective teaching. The percentage of respondents who believe that the quality of leadership is not good enough is about 18%. About 60% of respondents were male, whereas about 40% of them were female. About 12% of respondents had ages of 20 years or less. About 12% of respondents had ages of 21 to 30 years. About 41% of respondents had ages of 31 to 40 years. About 30% of respondents had ages of 41 to 50 years. About 5% of respondents had ages of 51 years or more. About 47% of respondents had Bachelor’s degrees. About 30% of respondents had diplomas. About 10% of respondents had Honours degrees. About 7% of respondents had Master’s degrees. About 6% of respondents had post-matric certificates. About 51% of respondents had served for 5 years or less. About 23% of respondents had served for 6 to 10 years. About 12% of respondents had served for 11 to 15 years. About 7% of respondents had served for 16 to 20 years. About 7% of respondents had served for 21 years or more. All 147 educators who took part in the study were South Africans. Table 4.1.2 shows frequency counts and percentages for the extent to which educators take pride in the teacher’s profession. About 91% of educators take pride in the teacher’s profession. About 92% of educators feel appreciated enough as an educator. About 91% of educators feel adored as an educator. About 88% of educators feel that they are provided with enough resources at the workplace so that they can do a good job. About 90% of educators do not feel stressed out in the course of their duties at schools. About 90% of educators uphold their values and guiding principles at all times. About 53% of respondents felt that they were being led by competent leaders at the workplace. Table 3 shows frequency counts and percentages for the extent to which educators viewed their leaders at the workplace as objective leaders. About 73% of educators viewed their line function managers as objective leaders. About 44% of educators viewed their line function managers as considerate leaders. About 56% of educators viewed their fellow colleagues as good team players. About 91% of educators viewed their line function mangers as honest leaders with personal integrity. About 92% of educators viewed their line function mangers as courageous leaders who take appropriate disciplinary action against underperforming subordinates. About 88% of educators viewed their line function managers as leaders who take decisions in the best interest of learners with no fear or favour at all times. About 52% of educators look for guidance from their line function managers at all times. Table 4 shows frequency counts and percentages for the extent to which educators are prepared to work on suggestions from line function managers. About 70% of educators were willing to work on suggestions from line function managers. About 43% of educators were willing to work on suggestions from fellow colleagues and subordinates. About 54% of line function managers were willing to promote awareness before taking disciplinary action. About 92% of educators were willing to protect whistle-blowers at all times. About 90% of educators confided in their line function managers because they trusted them. About 90% of educators showed empathy to their fellow colleagues and subordinates. About 53% of educators were given support from their fellow team members and other Departments. Table 5 shows frequency counts and percentages for the extent to which line function managers are willing to speak with their subordinates about work related issues. About 73% of line function mangers were willing to speak with their subordinates about work related issues. About 66% of line function managers were willing to enforce relevant regulations and guidelines with no fear or favour at all times. About 69% of line function managers were willing to take the time to speak personally with their subordinates about their operational needs and requirements. About 48% of line function mangers were willing to take the time to speak personally with their subordinates about their career path growth. About 76% of line function mangers were willing to take the time to speak personally with their subordinates about their training needs. About 85% of line function managers were willing to encourage and support their subordinates to improve their teaching skills. About 55% of line function managers were willing to encourage educators to help needy learners by going the extra mile at all times. Two-by-two crosstab analyses or Pearson’s chi-square tests of association (Weiss and Weiss, 2012) were used for assessing the strength of association or interdependence between two or more categorical variables. At the 5% level of significance, the strength of association between two categorical variables is said to be statistically significant if the P-value is smaller than 0.05. If the P-value is greater than or equal to 0.05, it is said that the two variables are independent of each other at the 5% level of significance. In this study, all expected cell frequencies were greater than 5. As such, results of data analysis obtained from Pearson’s chi-square tests of association were all valid.Table 6, below, shows significant two-by-two associations obtained from Pearson’s chi-square tests of associations. At the 5% level of significance, significant associations have large observed chi-square values and P-values that are smaller than 0.05. All in all, 95 two-by-two tests of associations were performed. Three of these 95 two-by-two associations were significant at the 5% level of significance. Associations that are significant at the 5% level are indicated by *. Associations that are significant at the 1% level are indicated by **. Associations that are significant at the 0.1% level are indicated by ***. Significance at * P<0.05; ** P<0.01; *** P<0.001 levels of significance. The above table shows 3 significant two-by-two associations at the 5% level of significance. All expected cell frequencies were 5 or above, thereby showing that the results obtained from cross-tab analyses were valid. Based on results obtained from cross-tab analyses, efficiency in school level leadership in Tshwane North District public schools is significantly influenced by 3 predictor variables. These 3 variables were a clear understanding of job description, the availability of helpful teaching materials and resources, and punctuality at work, in a decreasing order of strength. Table 7 shows significant odds ratios estimated from logit analysis. Based on odds ratios estimated from logit analysis, efficiency in school level leadership in Tshwane North Districts is significantly influenced by a clear understanding of job description, the availability of helpful teaching materials and resources, and punctuality at work, in a decreasing order of strength. The odds ratio of the variable job description is equal to 3.21. This indicates that an educator who has a job description that is clearly spelled out and understood is 3.21 times more likely to have a positive view of the leadership at the school in comparison with another educator who does not have a clearly spelled out and understood job description.The odds ratio of the variable materials is equal to 2.78. This indicates that an educator who has access to helpful teaching materials and resources is 2.78 times more likely to have a positive view of the leadership at the school in comparison with another educator who does not have access to helpful teaching materials and resources. The odds ratio of the variable punctual is equal to 2.66. This indicates that an educator who is punctual at work is 2.66 times more likely to have a positive view of the leadership at the school in comparison with another educator who is not punctual at work.The degree of reliability of the fitted logit model was assessed by using the classification table. The percentage of overall correct classification for the fitted logit model was equal to 81.63%. This figure is above 75%, and shows that the fitted logit model is theoretically reliable. The study was conducted in order to assess and evaluate factors that affect the quality of teaching and learning in Tshwane North District public schools. Based on the criteria set out by Skarlicky, Kay, Aquino and Fushtey (2017) for effective teaching, 81.63% of educators working in Tshwane North District public schools were performing adequately, whereas the remaining 18.37% of educators were not performing adequately. Based on odds ratios estimated from logit analysis, efficiency in school level leadership in Tshwane North Districts was significantly influenced by a clear understanding of job description, the availability of helpful teaching materials and resources, and punctuality at work, in a decreasing order of strength. The key finding of study is that about 82% of educators were satisfied with the quality of school level leadership provided in Tshwane North District public schools by the standards of effective teaching defined by Skarlicky, Kay, Aquino and Fushtey (2017) for public schools in developing nations of the world. The percentage of educators who were not satisfied with the quality of school level leadership by their line function managers was equal to 18%. By local and global standards, these figures are normal. Skarlicky, Kay, Aquino and Fushtey (2017) have proposed a framework that could be used for effective leadership at school level. The model proposed by the authors has been amended so that it could be used for improving the quality of teaching in Tshwane North District public schools. The quality of self-awareness is essential at school level leadership. A good educational leader needs a solid understanding of oneself. A good educational leader must have confidence in essential aspects of leadership, and must be courageous enough to make key decisions promptly and courageously so that all followers and stakeholders follow his or her leadership. Such decisions taken by the school leader must be objective, fair and transparent. They should also be consistent with similar decisions taken in the past under similar circumstances. Excellent communication skills are needed from a good school level leader. Communication skills are vital for effective communication with students, teachers and stakeholders. A good leader must have the skills and ability to pass messages easily, precisely and punctually to all relevant stakeholders. A good school level leader must be resourceful in identifying feasible and practical solutions to problems that are often encountered by learners, teachers, parents, government departments and members of the community. A good school level leader should be able to lead learners, fellow colleagues, educators and parents alike by example. This is done by adhering to the basic principles of good governance. These are honesty, personal integrity, loyalty to learners, objectivity, fairness, accountability, respect for the rule of law, respect for basic human rights, respect for the environment and transparency. A good school level leader takes pride in the profession of teaching. Such a leader encourages in conducting research into factors that are known to affect the quality of teaching and learning in the school. Such a leader has the ability and willingness to teach and learn from all relevant bodies and parties. Figure 1 shows a framework adopted from the work done by Skarlicky, Kay, Aquino and Fushtey (2017). Source: Adapted from Skarlicky, Kay, Aquino and Fushtey (2017) Good school level leaders are educators who are passionate about making a positive difference in the lives and careers of their learners. Such leaders are honest, and have personal integrity at the workplace. Good leaders know themselves and their values. Learners often are compelled into looking for schools with clearly defined values and priority. Good schools are led by educators who demonstrate honesty, personal integrity, punctuality and transparency. Good school level leaders trust their subordinates and colleagues. They empower their fellow educators so that the school grows. Good school level leaders listen to comments, suggestions and recommendations from their students, parents and members of the community. They believe in coaching and mentoring learners. Good school level leaders are communicative, collaborative and helpful. They seek and share valuable information freely with others. They are prepared to be understood and to understand others. Before taking key decisions, they consult extensively with all relevant bodies and stakeholders. They communicate freely with all relevant bodies and stakeholders so that others know what is going on exactly. Good school level leaders are a source of positive energy in their working environment. They transform, empower and motivate others to follow them in the course of improving overall productivity and performance as well as pass rates and the quality of teaching and research. Good school level leaders present a positive, pro-active and caring approach to learners and educators alike. They make the time to speak with students, teachers and parents. They nurture their relationships with others by being honest, devoted and reliable. They care for the wellbeing of their learners and fellow educators and colleagues. Good school level leaders are confident in their leadership style. They are freely approachable to others, and are open to discussions. They are quite visible and are open to suggestions and new ideas. Good leaders are accessible to others. Good school level leaders demonstrate commitment to their fellow colleagues and learners alike. They demonstrate genuine commitment and dedication to others as a means of supporting and promoting them. Good leaders are willing to learn new ideas. They do not stop learning. Good leaders are entrepreneurial, creative and innovative. They think outside the box. Creativity and innovation are vital for managing disruptions and complexities. Good school level leaders are intuitive. They learn to trust their gut feelings. They inspire others. They address teachers, students and parents with clear speeches that are inspiring. They create and foster enthusiasm and optimism for working together in their school environment. They are eager to learn new ideas from others. A good leader is happy to accept and benefit from new and innovative ideas and suggestions with pleasure and gratitude. A good leader is happy to learn from past mistakes. A good leader is happy to accept constructive criticisms. A good school level leader appreciates and acknowledges the power of teaching and learning from other members of the community. A good leader is happy to be guided by local and international best practice in the teachers’ profession. The main objective of study was to assess and evaluate the influence of leadership style on the quality of teaching in Tshwane North District public schools. The study was conducted by drawing a stratified random sample of size 147 from educators working in Tshwane North District public schools. Data was collected by using a structured, pretested and validated questionnaire of study. Data analyses were conducted by using methods such as frequency tables, cross-tab analyses and binary logistic regression analysis. Based on the criteria set out by Skarlicky, Kay, Aquino and Fushtey (2017) for effective teaching, 81.63% of educators working in Tshwane North District public schools were performing adequately, whereas the remaining 18.37% of educators were not performing adequately. Based on odds ratios estimated from logit analysis, efficiency in school level leadership in Tshwane North Districts was significantly influenced by a clear understanding of job description, the availability of helpful teaching materials and resources, and punctuality at work, in a decreasing order of strength.Based on results obtained from cross-tab analyses, efficiency in school level leadership in Tshwane North District public schools is significantly influenced by 3 predictor variables. These 3 variables were a clear understanding of job description, the availability of helpful teaching materials and resources, and punctuality at work, in a decreasing order of strength. All performance appraisal procedures must be objective, transparent and accountable. Skarlicky DP, Kay AA, Aquino K, Fushtey D. Must Heads Roll? A Critique of Alternative Approaches to Shift Blame. Academy of Management Perspective. 2017; 31: 222-238. Yang KC, Klotz AC, He W, Reynolds SJ. From Good Soldiers to Psychologically Entitled: Examining When and Why Citizenship Behaviour Leads to Deviance. Academy Manag J. 2017; 60: 373-396. Zhang P. The Impacts of Private Experience on the Employment of Different Public Job Positions. Public Personnel Manag. 2017; 46: 144-169. Zang J, Wu Q, Yan X, Peng J. The Impact of Core Self-Evaluations on Job Satisfaction. The Mediator Role of Career Commitment. Soc Indic Res. 2014; 116: 809-822. Yazik H, Altun F. Type-A Behaviour, Gender, and Job Satisfaction: A Research on Instructors. Educational Sciences: Theory and Practice. 2013; 13: 1455-1459. Abbas M, Raja U, Darr W, Bouckenoogh D. Combined Effects of Perceived Politics and Psychological Capital on Job Satisfaction, Turnover Intentions, and Performance. Journal of Management. 2014; 40: 1813-1830. Arz S, Farahbod L. The impact of job leadership on Job Satisfaction: The study of Iranian Hotels. Interdisciplinary Journal of Contemporary Research Business. 2014; 6: 3-14. Batista-Taran LC. The role of Leadership Style in Employee Engagement. Miami: Florida International University. 2016. Turabik T, Baskan GA. The Importance of Motivation Theories in Terms of Education Systems. Procedia- Social and behavioural Sciences. 2015; 186: 1055-1063. Sturman MC, Park S. The Changing Relationship between Supervisors and Subordinates: How Managing This Relationship Evolves Over Time. Cornell Hospitality Report. 2016; 16: 3-8. Van der Westhuizen D, Phacheco G, Webber DJ. Exploring the Relationship entrepreneurial behaviour and teachers’ job satisfaction. The International Journal of Human Resource Management. 2012; 23: 2661-2679. Top M, Adkere M, Tarkan K. Examining transformational leadership, job satisfaction, organisational commitment and organisational trust in a Turkish hospital: public servants versus private sector employees. The International Journal of Human Resource Management. 2015; 26: 259-282. Wang H, Hall NC, Rahimi S. Self-efficacy and causal attributions in teachers: Effects on burnout, job satisfaction, illness, and quitting intensions. Teaching and Teacher Education, 2015; 47: 120-130. Trepanier S, Forest J, Fernet C, Austin S. On the psychological and motivational process linking job characteristics to employee functioning: insights from self-determination theory. Work and Stress. 2015; 29: 286- 305. Swanepoel BJ, Erusmus BJ, Schenk HW, Tshilongamulenzhe MC. South African Human Resource Management: Theory and Practice. 5th Claremont: Juta & Co. 2014. Wei Y, Han T, Hsu I. High performance HR practices and OCB: A cross-level investigation of causal path. The International Journal of Human Resource Management. 2016; 21: 1631-1648. McCarley TA, Peters ML, Decman JM. Transformational leadership related to school climate: A multi-level analysis. Educational Management Administration &Leadership. 2016; 44: 322-342. Northouse PG. Leadership: Theory and practice. London: Sage publications. 2018. Tatlah IA, Saeed M, Iqbac MZ. Organisational Behaviour and Procedural Interactive Justice in HRM: A Secondary School Level Study. Journal of Emerging Trends in Economics and Management Sciences. 2011; 2: 14-17. Sullivan GS, Lonsdale C, Taylor I. Burnout in High School Athlete Directors:A Self-Determination Perspective. Journal of Applied Sport Psychology. 2014; 26: 256-270. Venter R, Levy A, Bendeman H, Dworzanwski V. Labour Relations in South Africa. 5th Cape Town: Oxford University Press. 2014. Yadav LK, Yadav N. Organisational Justice: An Analysis of Approaches, Dimensions and Outcomes, NMMS Management Review. 2016; 1: 13-40. Yang Y. Respect for Authority and Job Satisfaction: A Class-Culture Test. Rotterdam: Erasmus University Rotterdam. 2013. Welter R, Mitchell W Muysken J. Self-determination theory and job search. Journal of Economic Psychology. 2014; 44: 34- 44. Webster E. The shifting boundaries of industrial relations: Insights from South Africa. International Labour Review. 2015; 154: 27-36. Gurr D. A model of successful school leadership from the international successful school principalship project. Societies. 2015; 5: 136-150. Khalifa MA, Gooden MA, Davis JE. Culturally responsive school leadership:A synthesis of the literature. Review of Educational Research. 2016; 86: 1272-1311. Flessa J, Bramwell D, Fernandez M, Weinstein J. School leadership in Latin America 2000–2016. Educational Management Administration & Leadership. 2018; 46: 182-206. Wenner JA, Campbell T. The theoretical and empirical basis of teacher leadership: A review of the literature. Review of Educational Research. 2017; 87: 134-171. Truong TD, Hallinger P, Sanga K. Confucian values and school leadership in Vietnam: Exploring the influence of culture on principal decision-making. Educational Management Administration & Leadership. 2017; 45: 77-100. Vangrieken K, Meredith C, Packer T, Kyndt E. Teacher communities as a contex for professional development: A systematic review. Teaching and Teacher Education. 2017; 61: 47-59. Leu DJ, Kinzer CK, Coiro J, Castek J, Henry LA. New literacies: A dual-level theory of the changing nature of literacy, instruction, and assessment. Journal of Education. 2017; 197: 1-18. Al Fahad M. The relationship between school Principals’ leadership Styles and Teacher Motivation. Kuala Lumpur: Malaysian Ministry of Education. 2013. Hair JF, Black WC, Babin BJ, Anderson RE. Multivariate Data Analysis:A Global Perspective. London: Pearson. 2010. Levy PS, Lemeshow S. Sampling of populations: Methods and applications. New York: John Wiley & Sons. 2013. Ritchie J, Lewis J, Nicholls MC, Ormston R. Qualitative research practice: Aguide for social science students and researchers. New York: SAGE. 2013. Hosmer DW, Lemeshow S. Applied Logistic Regression Analysis. New York: John Wiley & Sons. 2013. Dou D, Devos G, Valcke M. The relationships between school autonomy gap, principal leadership, teachers’ job satisfaction and organizational commitment. Educational Management Administration & Leadership. 2017; 45: 959-977. South African National Department of Basic Education. Annual report for the financial year 2016/2017. [Online]. Available from: [Accessed: 13 October 2018]. Srivastava M, Banerjee P. Understanding Gen Y: The Motivations, Values and Beliefs. Journal of Management Research. 2016; 16: 148-164. Taylor J. Public Service Motivation, Relational Job Design, and Job Satisfaction in Local Government. Public Administration. 2014; 92: 902-918. 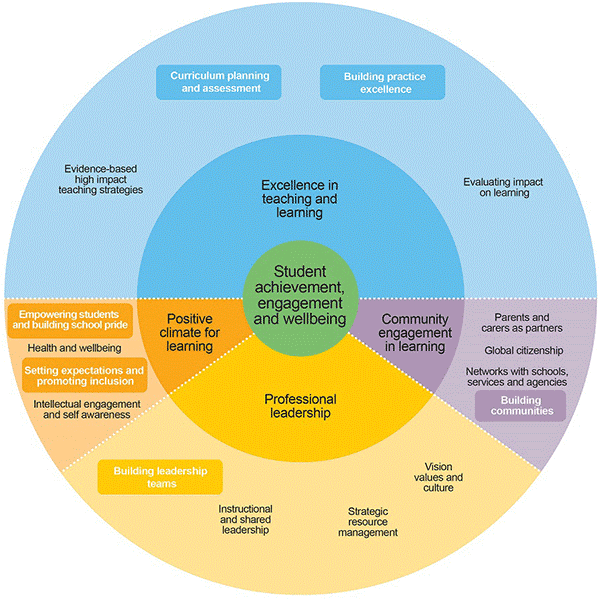 Figure 1: Framework for good school level leadership. Table 1: General characteristics of respondents (n=147). Table 2: Taking pride in the teacher’s profession (n=147). Table 3: Objective leadership at the workplace (n=147)..
Table 4: Willingness to work on suggestions from line function managers (n=147). Table 5: Speaking with subordinates about work related issues (n=147). Table 6: Significant two-by-two associations (n=147). Table 7: Estimates from logit analysis.